What are conversations and how can you use them? Conversations is a dedicated space on the community where you can share content and have discussions in real-time. Topics are listed on the left hand side. You can access Conversations using the three-person icon in the top navigation bar. You can also start a Conversation directly from a post using the Start a Conversation button which sits alongside all posts (top, right). You can also see what Conversations have already been started. 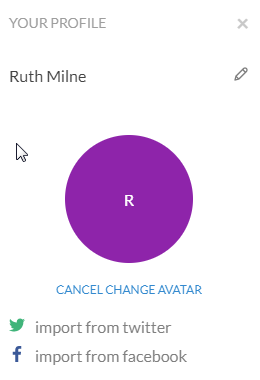 When you visit Conversations for the first time, you will need to add your avatar. To do this, select the pencil icon beside your profile name and then edit photo. You can then import a photo from one of your social media accounts. Conversations is still in beta, so please excuse any bugs you may encounter, and let us know about them! We would really like to hear your feedback, so please have a play and let us know what you think. Please use the ‘How to join in Conversations’ Topic in Conversations to share your thoughts. Have a go and join the Conversation now!